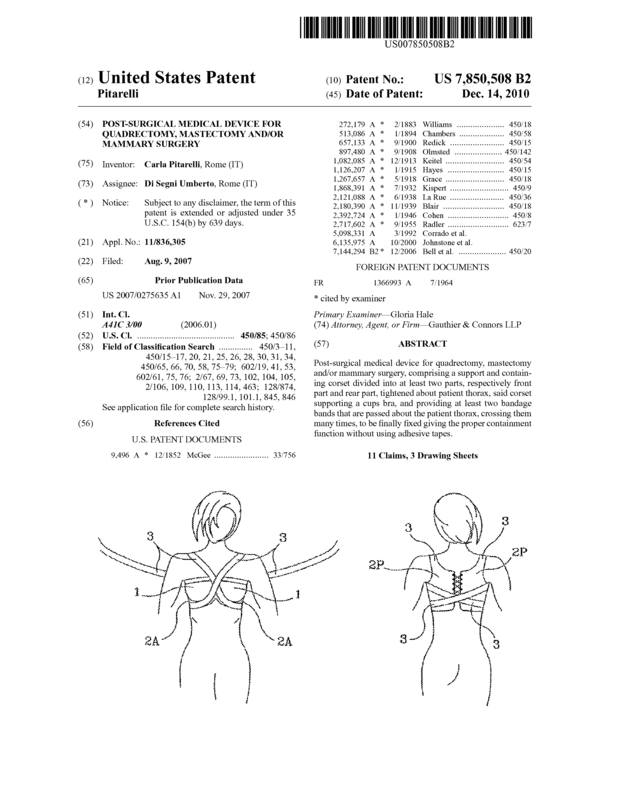 Post-surgical bra for quadrectomy, mastectomy and/or mammary surgery, comprising a support and containing corset divided into at least two parts, respectively front part and rear part, tightened about patient thorax, said corset supporting a cups bra, and providing at least two bandage bands that are passed about the patient thorax, crossing them many times, to be finally fixed giving the proper containment function without using adhesive tapes. - the product is patented in Italy too. Page created at 2019-04-22 14:19:38, Patent Auction Time.